What is a cocker spaniel really like? Find out in this breed interview! 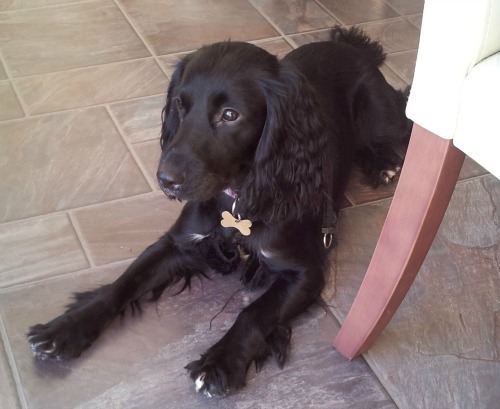 Alison Mackay took the time to speak to us about her experience of living with her cocker spaniel, Mollie. 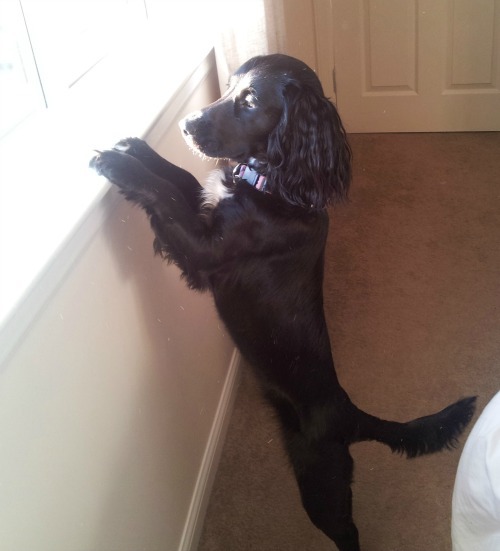 Q: Can you tell me a little bit about your cocker spaniel please? A: This is Mollie. She's around 18 months I think and we got her 4 months ago. She was a rescue dog as she was a stray. Q: How easy was Mollie to train? A: We are still working on that! She's very clever and picks things up quickly like tricks etc but she still pulls badly on the lead and is very easily distracted outside. Q: How much exercise does Mollie need? A: She gets 3 x 40 minute walks per day and would be exercised all day if she could! Q: Does Mollie have a particularly "doggy smell" and how is her coat in terms of shedding? A: She gets shampooed by us once a month but generally smells lovely. She still has that cute puppy smell. Her coat doesn't shed too much either. Q: Is Mollie an excessive barker? Q: Does Mollie have good recall off-leash? A: Not yet. But we're working on that! Q: What is Mollie like around other dogs? A: She's generally quite hyper and gets excited around other dogs. She's still really just a puppy. Q: What is Mollie like around children? A: She loves children and will follow them around like a shadow. Q: Would you class Mollie as high maintenance or a fussy eater? A: High maintenance definitely but not a fussy eater. 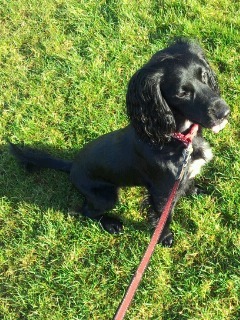 She's a spaniel so will eat anything! Q: Can Mollie do any tricks or have any funny quirks? A: She can close doors, dance and gives a double high five when asked. 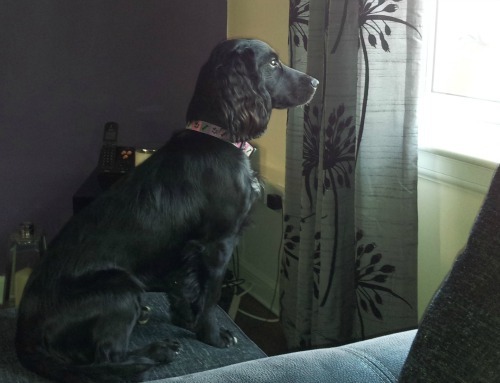 She loves looking out of the window and would do that all day if she could!